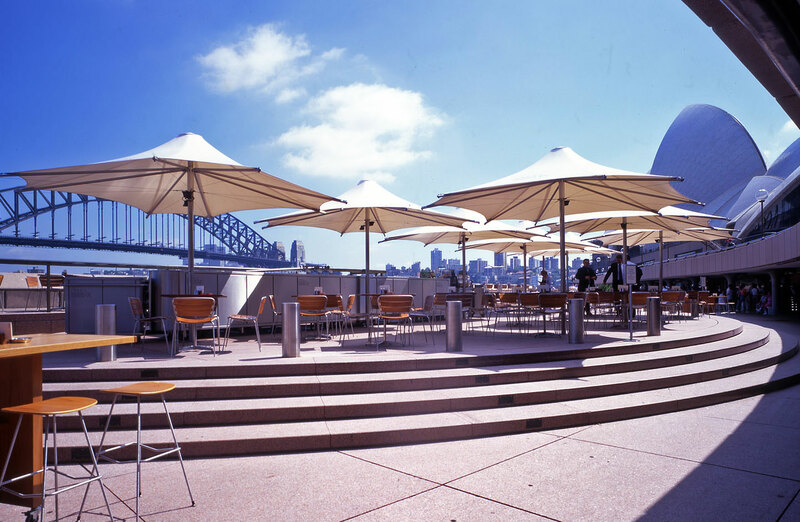 With spectacular and interrupted views of Sydney Harbour, Opera bar has a capacity of 1500 patrons at ‘special event’ times, and has become a destination bar for local and international guests. 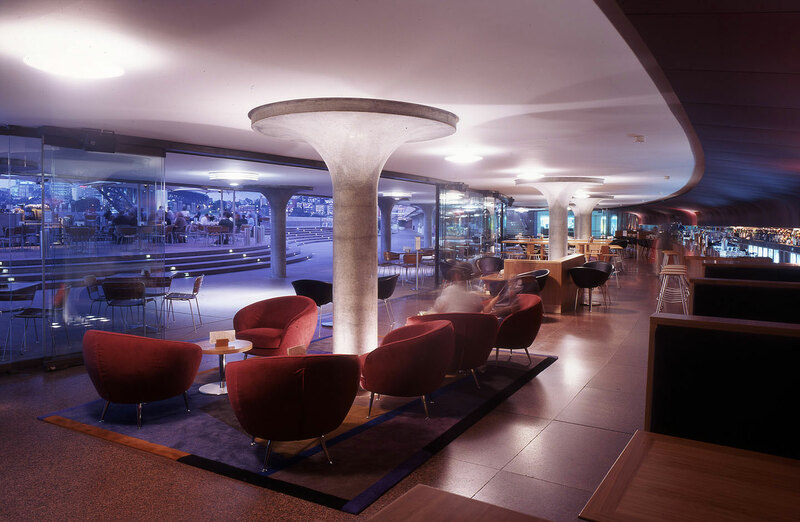 The design respects the existing architecture and palette of materials of the Sydney Opera House. 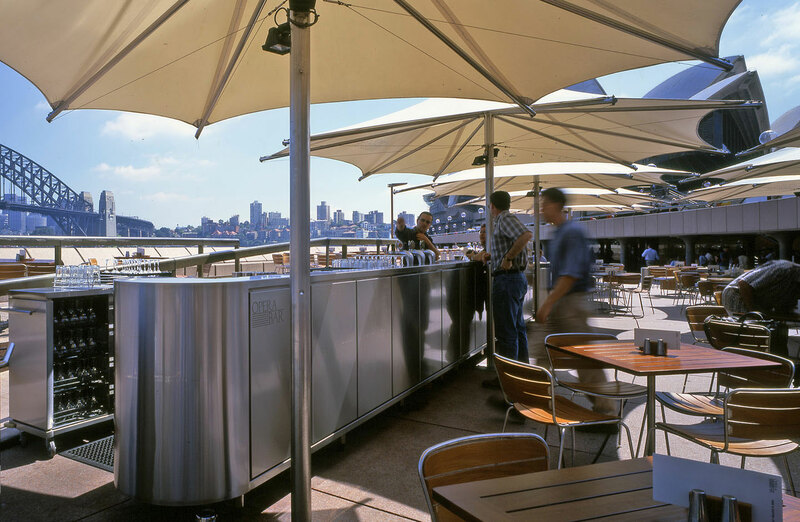 All furniture and equipment, including the wet bar, are mobile and can be cleared away if necessary. 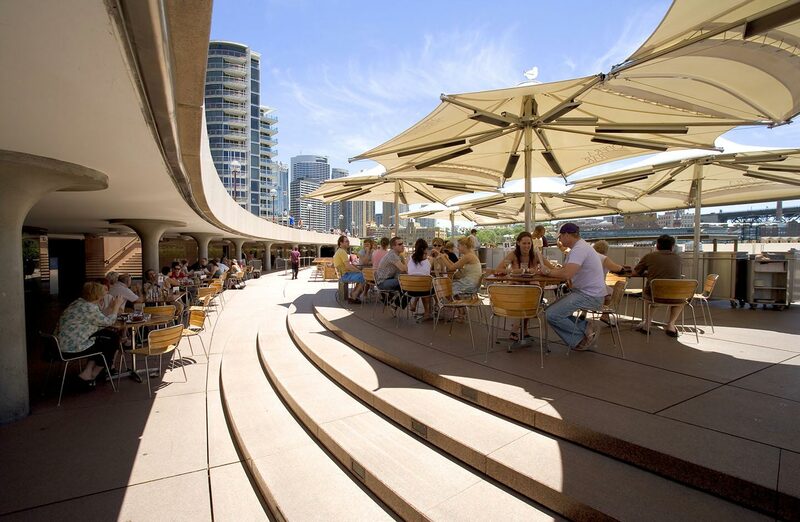 Internal and external spaces are flexible and can accommodate a number of different configurations for functions. 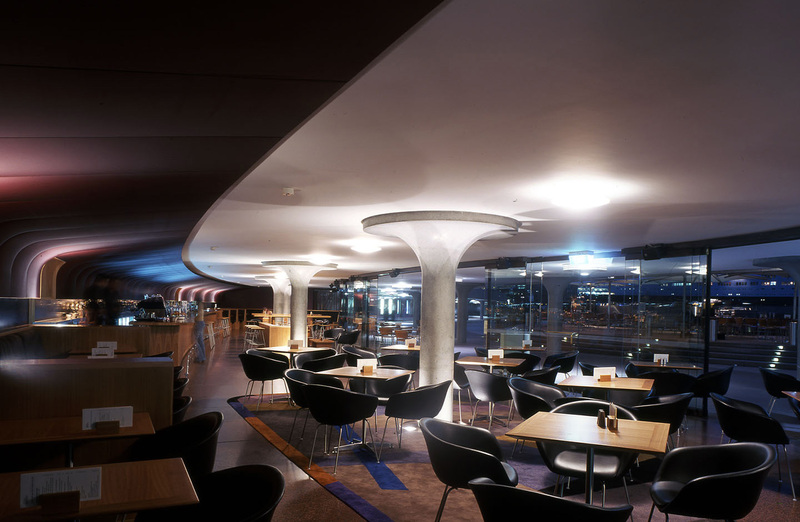 The internal space has a 17m long bar, whilst the external relocatable bar is 9m long.